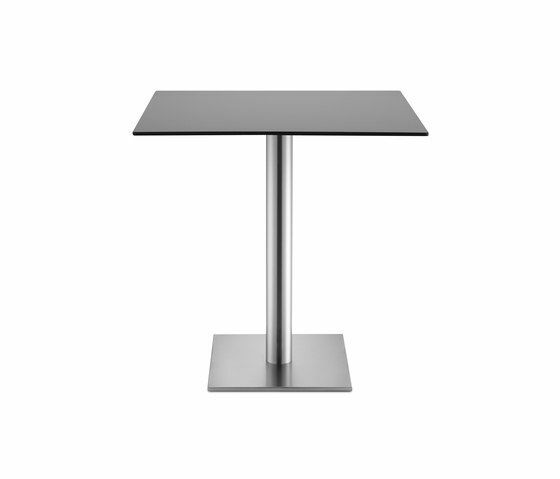 Series of table bases with stainless steel round column available in two heights. Round or square base available in several finishing. Table tops available in several dimensions and finishing. Tops available: alu-compact laminate 70x70 – 80x80cm black, compact laminate 60x60 – 70x70 – 80x80 – diameter 60 – diameter 70cm, in several colours.